I do not know who’s the originator to this fly, but one thing for sure: He should have the Fly Fishing Peace Price. I don’t know how many times this fly has saved the day for me. It’s a priceless pattern. You can tie it in several ways. 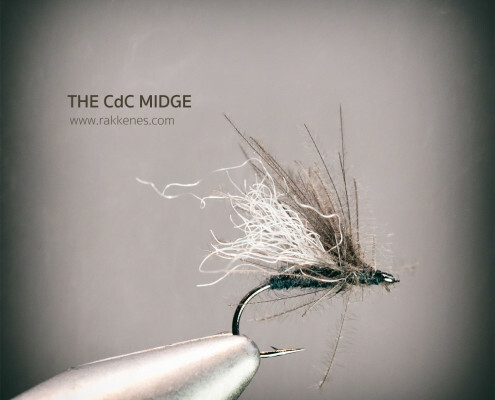 The most common is the way depicted with a black dubbing, white poly yarn and spun CdC as wing and legs. It is however no problem to tie it without dubbing, just the thread. If you want to go fancy, use a biot. 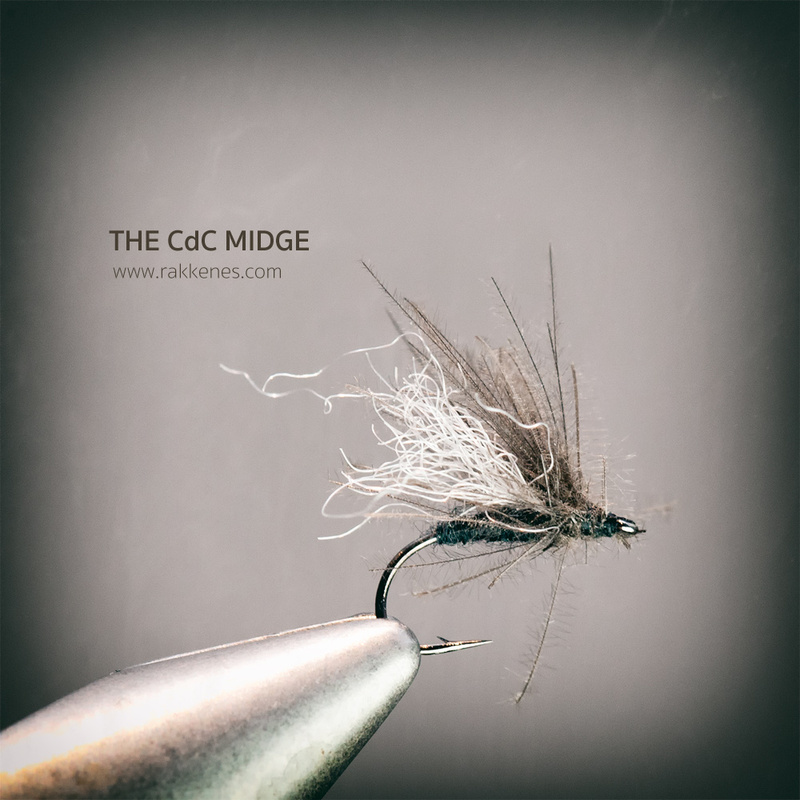 In my opinion there are three main triggers on this fly: the messy CdC, the white wing and a clear body profile. Therefore – remember to clear up the mess under the fly, so that the body profile is visible. CdC: Split the thread, and apply a careful amount of wax. Cut the fibers from the CdC feather using a Magic Tool. Spin. When tying drag the fibers up and back with every turn as you approach the eue – make sure some fibers suggests legs. Trim under the fly. Apply floatant. When wet, dry the fly with a few false cast. After a fish, just rinse in water and make false cast. Dead drift, of course.